Jallianwala Bagh: Will An Apology 100 Yrs Late Help? An apology that comes a hundred years after the bloodbath in Amritsar is mere tokenism. Britain has failed even in this belated act. Of numerous incidents of violence perpetrated on the unarmed by the British while colonizing much of the world, the carnage at Jallianwala Bagh in Amritsar on April 13, 1919, is and shall remain unique. 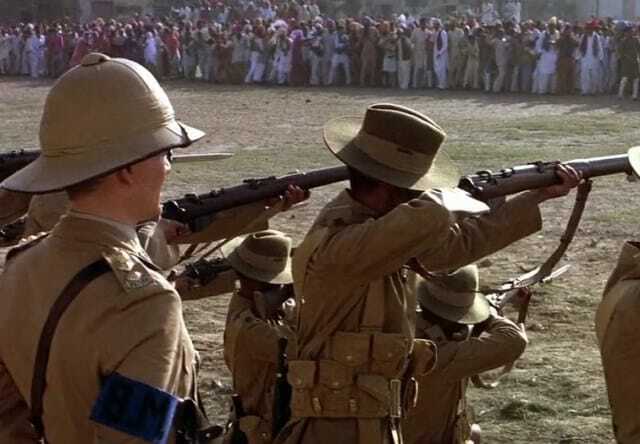 Many say that firing 1,650 bullets on the unarmed civilians that day, Britain shot itself in the foot, eventually losing India, its “Jewel in the Crown”. And that, in turn, unleashed the global process of de-colonization. As that event marks completion of a century this Saturday, much water has flow down the Thames and many rivers across the world that went red with blood of the ‘natives’. But the present-day British are in no mood to apologize. British Prime Minister Theresa May did term the incident a “shameful scar” but stopped short of an apology. The House of Lords that had exonerated Brigadier General Reginald Dyer, the “Butcher of Amritsar”, debated the tragedy this February; the House of Commons debated it on Tuesday (April 8). But worried about “potential financial implications”, Minister Mark Field, chose to be ‘conservative’ and expectedly, declined appeals by Members for an apology. Perhaps, an apology would have set a ‘bad’ precedence. Members of the “Mother Parliament” and governments of the day would be left with little else to do if they began apologizing to people around the world for much that happened during two centuries of colonization. Allowing a related topic to creep in, the British, like other European ex-colonizers, will not return the artefacts they stole from Asia, Africa and Latin America. This is unlike what the United States, itself a colony once, is in the process of doing. So a million precious things that belong to other peoples’ heritage, shall remain where they are, or to be auctioned at Sotheby’s. It’s a tad unfair, one might say, to expect only the Britons to atone for their sins when there were other, equally rapacious, colonizers. But records show Churchill’s attitude towards India and Indians only hardened thereafter. As Britain’s war-time prime minister during the World War II, he diverted food produced in India to the Allied forces, causing deaths of millions during the Great Bengal Famine. In the latest book on Jallianwala carnage, Kishwar Desai – (her husband Lord Meghnad Desai and Lord Raj Loomba had moved the resolution in the House of Lords), reveals that Brigadier General Dyer alone was not responsible for the massacre and other atrocities. The blame must also fall on Lieutenant Governor Michael O’Dwyer, who blindly endorsed Dyer’s actions. She writes of “a feigned state of war” declared by Miles Irving, Deputy Commissioner of Amritsar, which set the ground for General Dyer to take command of Amritsar on April 11, 1919, without a formal notification. This is yet another aspect of the British rule in India consequences of which are being felt even today. Desai says Dyer deliberately took only Indian soldiers, who “continued to fire on the defenceless gathering without any warning till they exhausted 1,650 rounds, killing and wounding nearly 2,000 people who had allegedly “defied Dyer’s authority” by assembling there. While many areas in Punjab had been placed under restriction, Jallianwala Bagh was not among them. Thanks to a lid on information, the Indian leaders’ reaction took a while to come and was muted. Rabindranath Tagore returned his British knighthood. Mahatma Gandhi condemned the system rather than any individual. It was only four months after the massacre, on August 25, that Dyer wrote a detailed report of the events of April 13 and confirmed that he had fired without warning. This was the first time that the Government of India learnt about the actual circumstances. Subsequently, many of the official documents were suppressed, and official hearings were held in camera. Relevant documents were carted away to London when the British quit India. Undoubtedly, Jallianwala Bagh was the turning point for India’s freedom movement. The world was to watch how Gandhi met British violence with non-violence. He had already launched Satyagraha at Champaran (1917) and Kheda (Kaira -1918). The one against the Rowlatt Act took place in Bombay (now Mumbai) on April 6, 1919, occurred just a week before Jalliawala Bagh happened. The carnage convinced Gandhi that the British needed to be countered with something they were unprepared for and, in the long run, could not endure. But not everyone had Gandhi’s patience and vision. Udham Singh avenged Jallianwala by killing O’Dwyer on March 13, 1940, a good 21 years later. By that time, the Hindu-Muslim divide had been deep. Udham Singh is said to have given his name as Mohammed Singh Azad, which the London Police initially registered. Symbolically, it combined three different faiths. There is no final count of how many people actually perished. Desai records that the authorities were totally insensitive to the sufferings of the hapless victims. Lt. Col. Smith, the government doctor, turned away the wounded, calling them “rabid dogs”, causing more deaths over the following days. Jallianwala massacre has rankled people on both sides of the India-Pakistan border, despite the bitterness caused by India’s Partition and that of Punjab, and the perpetual state of mistrust between the two South Asian neighbours. This week, Pakistan’s Information Minister Fawad Chaudhry endorsed the demand that the British government apologise for the empire’s role in the Jallianwala Bagh massacre and the famine of Bengal in the run-up to the 100th anniversary of the massacre. Having defended Dyer initially, the British have sought to demonize him. Most literature published in the UK around the massacre focuses on him, as if the British Indian Government or that ruling from Westminster had no role to play. Certainly, there is not an iota of guilt. Sadly, this attitude appeared to influence ‘Gandhi’, the 1981 cinematic opus by Sir Richard Attenborough that, nevertheless, is the best tribute that could be paid to the Mahatma. It won a record eight Oscars at the 55th annual Academy Awards and reminded the world of Gandhi and his teachings. Here, this writer may be allowed, for the sake of better expression, first-person reference to the press preview of the film held in New Delhi. Sir Richard, fair to history, events and to characters, by and large, did seem to guard Britain’s ‘sovereign’ interests. In the film, Dyer wears no insignia depicting the British Crown on his cap. However, black-and-white photographs of Edward Fox, the actor who played Dyer, distributed at the media preview showed the Crown. When I pointed this out to Sir Richard, he initially denied it. But after Major Atul Dev, a retired Indian soldier-turned journalist, also insisted that it was so, the legendary had the grace to apologize. I have retained that photograph. Does it really matter if Britain, a declining power today, apologizes? India, its economy galloping at a faster rate than the British, has found better ways — like buying over Tetley and Jaguar and in a manner of speaking, pouring cold ‘Cobra’ into the Thames. Some fair-minded Britons have said that the Jallianwala Bagh massacre apology should have come in 1919 itself, when the issue was discussed in the British Parliament. Was that not an “error of judgement”, a la Dyer, but a collective one? An apology that comes a hundred years hence is mere tokenism. Britain has failed even in this belated act. Next Post Next Post WATCH – Who Will Win Muzaffarnagar?